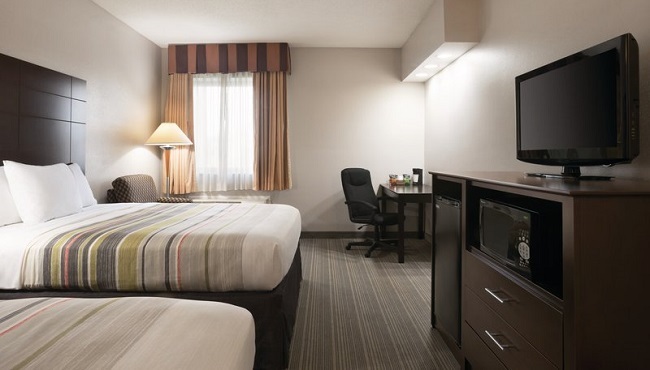 At the Country Inn & Suites, Indianapolis East, our quiet hotel rooms provide a restful retreat just outside the bustle of downtown Indy. 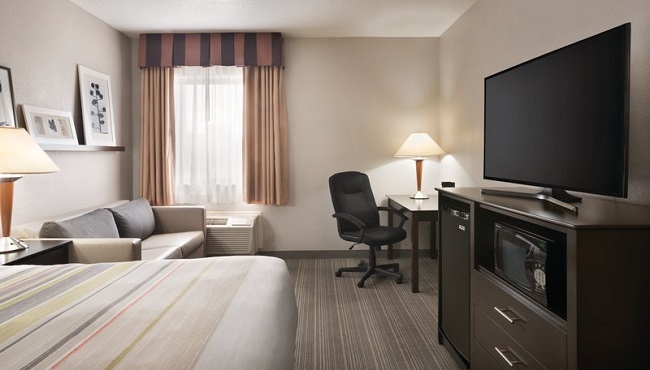 Each of our 93 accommodations features modern amenities like individual climate control and free Wi-Fi so you can stay connected. You can store your favorite beverages in the mini refrigerator and settle in for a cozy movie night with your four-legged friend in front of the flat-screen TV. 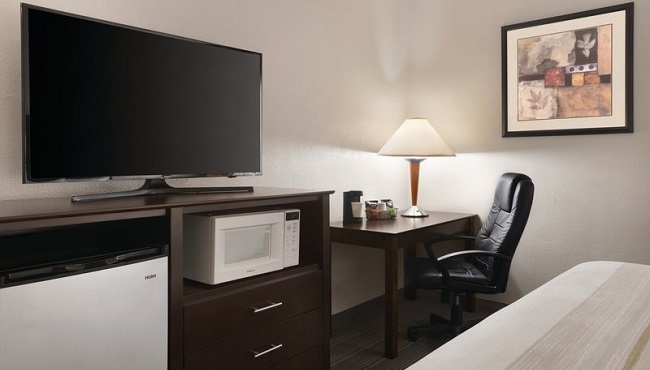 A work desk and chair are available in case you need to stay on task during your visit, and the coffeemaker can brew fresh joe around the clock. 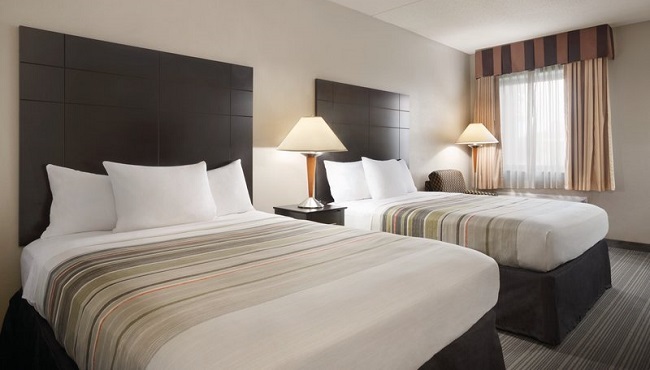 Give the kids their own bed when you book a Standard Two-queen Room, which features two queen-size beds and standard amenities like a flat-screen TV and a mini refrigerator. 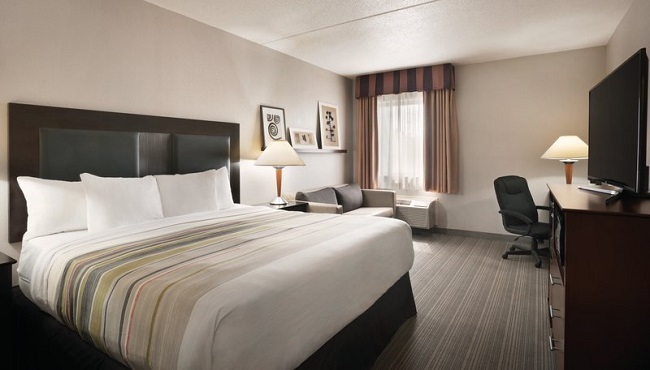 You can spread out on the king-size bed or kick back on the sofa in the Standard King Room, an excellent choice for corporate travelers. 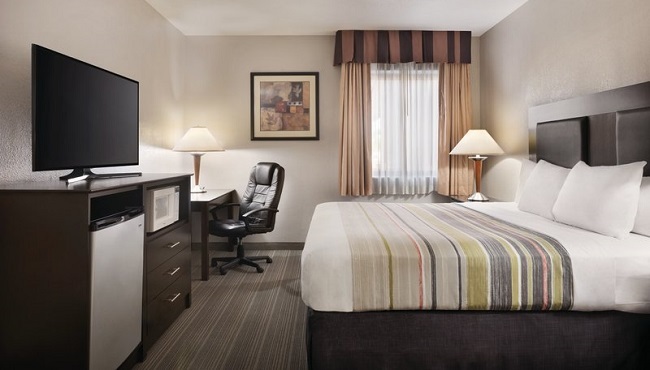 Guests enjoy all standard amenities like free Wi-Fi and a work desk. 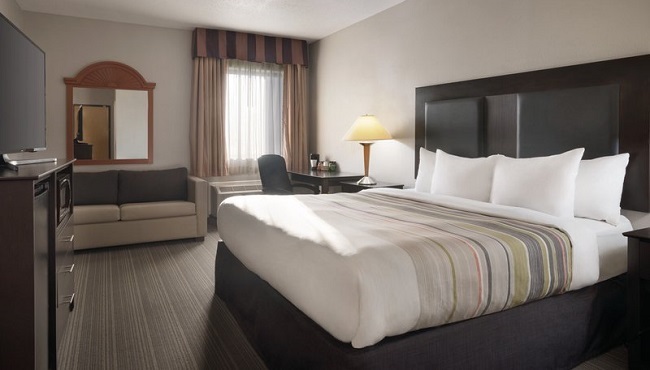 Treat your special someone to a romantic getaway when you book this spacious suite that includes an in-room whirlpool for two and a king bed.